You know what they say, "If you don't like the weather in Texas... wait a few minutes and it will change! " That was certainly true tonight. 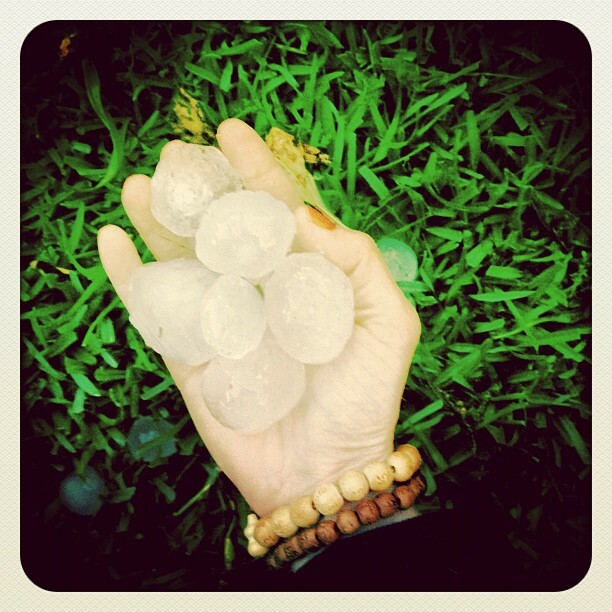 Out of the blue, the skies opened up and unleashed a holy hail storm like none other! As quickly as it began, it ended minutes later and within 10 minutes the skies were blue again. 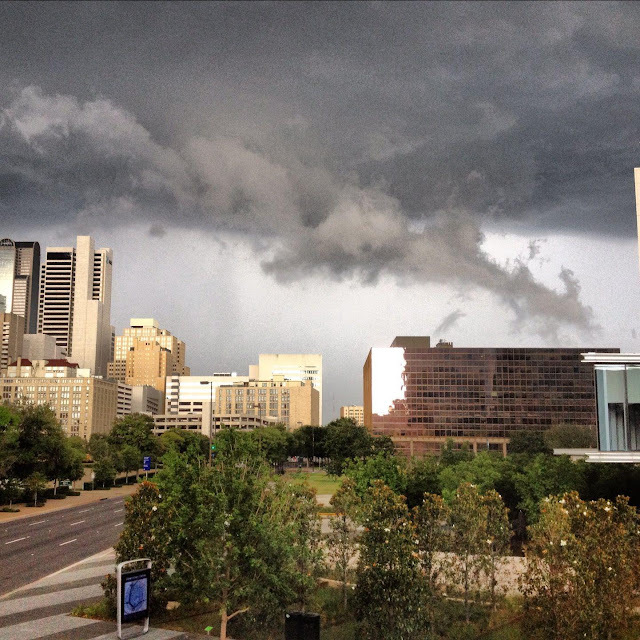 It looks like East Dallas/Lakewood got the brunt of the storm. NorthPark Center also took quite a hit with skylights being broken and shattered. 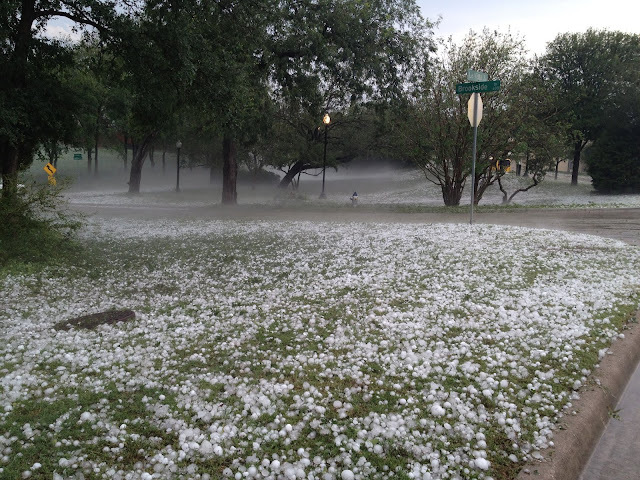 Where I live in Park Cities, I only got 3 measly hail stones in my yard (whew!). Others were not so lucky. Here are some photos I came across on Facebook. What happened at your house?? If you took a photo, post a link to it in the comments. 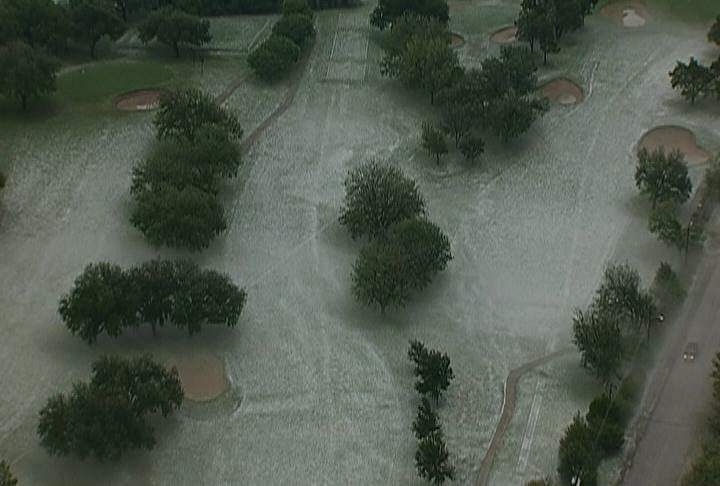 Sky 4 Damage Survey: Lakewood Country Club Golf Course. 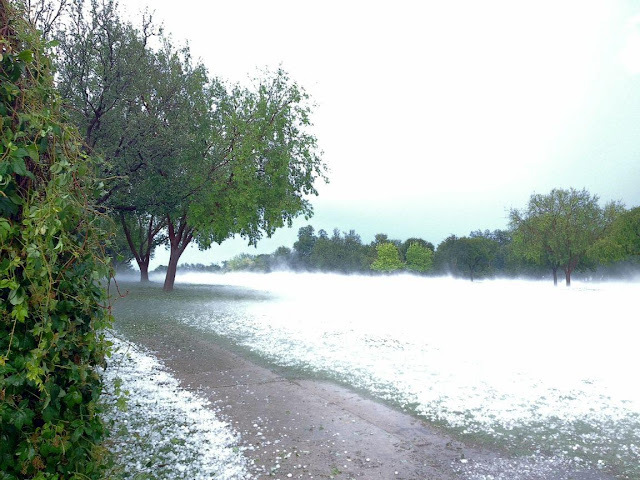 This is not snow, it's hail!